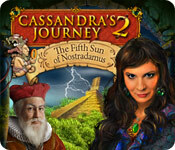 Rated 5 out of 5 by pennmom36 from Cassandra's Journey 2 : The Fifth Sun of Nostradamus There's been a whole lot of upgrading done on this game which is the second version of Cassandra's Journey. To start with the graphics are slightly clearer, there are over 1500 items in 35 locations, there is a fortune telling room that has a Fairway card game, Pyramid card came, Paris and Mahjong games as well. As you progress in the game you unlock mini games and Nostradamus tricks, Mahjong, match 3, puzzle swaps and those power of deduction psychic games too. Some of the listed items to find are in blue which indicates that a task needs to be done with that item to complete the level such as finding a certain number of books and then placing those books on a bookshelf, or finding 10 candles, placing those candles into existing candleholders and then lighting the candles after finding matches. You will need to toggle between the inventory list and the task of listed items to find. There are several types of hints, as you find items or complete tasks the hint potion will refill. The Pointer spell hint will show you the exact location of an item but will cost you 90% of your hint potion, the Area Spell will show you a small area which contains the item and costs 50% of the hint potion, the Magic Wand potion causes the crystal ball to glow brighter when you are near the object and costs 80% of the hint potion. The Object Photo Spell is new, it will show a photo of the object in the crystal ball and costs 60% of the hint potion, the hint will refill naturally but at a very slow rate so try to find items quickly to refill the hint potion faster. The crystal ball will show the number of tasks completed against the amount needed to complete. 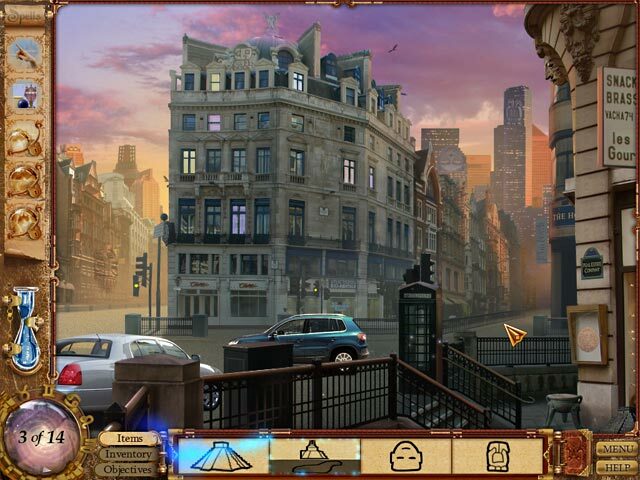 I love the new features added to this hidden object game which was good to start with, Cassandra's Journey: Nostradamus, and I like how they continue along with the story from her first journey, enjoy! Rated 5 out of 5 by enigma5619 from this game is fun a good game old but still fun not totally easy very pretty graphics liked part one two was great where is 3? Rated 5 out of 5 by nan69 from Totally Enjoyable! I thoroughly enjoyed the game which I bought in 2009 and have just played it again August 2012 and still found it totally enjoyable from beginning to end! some puzzles had me stumped. It says at the end to wait for the next episode of the game that was in 2009 but it still hasn't materialised yet! Any views? Rated 5 out of 5 by honeyg412 from An Extremely Well Made Game If you're looking for an exceptional game look no further. This game had everything in it from challenging puzzles, a great storyline, beautiful scenery great HOS and length. It took me 4 1/2 hours to finish it. I've played many games but never have I played one with so much interaction. I really enjoyed this and am looking forward to the next one in this series. Rated 4 out of 5 by Eveoflove from Sequel to the first journey Review based on completed game. I loved the first game, despite having no cut scenes or voice-overs: the story moved along well and there was a nice mix of various levels with straightforward and fun tasks. This sequel is fairly similar, but the devs decided to add a little movement in the characters' animation: lips and eyes move on a loop, but there's no voice acting... you still need to read/skip the story in the speech bubbles. That fake movement distracted me more than anything, but I understand the era in which this game was published. The HO scenes still link well with the storyline, despite generally being in a darker lighting with some items difficult to find; I found the mini-games to be less enjoyable and slightly more tedious (my fave being the brain teaser "light all the jewels with 2 torches" and my least fave the "find all the parrots" in the jungle decor.) Perhaps it's because the Mayan context doesn't do the job for me, or perhaps it's a "darker" topic than the 1st game which was about the theft of a ring. Overall, it's somewhat more gloomy. You don't know how far you've progressed in the story until almost the very end of the game. I did not skip any puzzle (some were quick, some not so much), and the game took me about 4 and a half hours: good value for the money. It's too bad a 3rd installment was never released. If you're thinking about buying this game, I suggest you play the first journey ("The Legacy of Nostradamus") before this one: there's some nice continuity in the storyline. Both games are worthy. I played them using Windows 10 without any problem. Rated 4 out of 5 by rosekaufmann from Good Game, Though Better the First Time Played Based on complete game. Storyline: Nostradamus is your guide in this story, which is interesting and easy to follow. It’s a continuation of the 1st game and again ends in a cliffhangar. Graphics are good; scenes not too dark. Experienced hoggers who want to give their brain a rest will find the game easy to middle-of-the-road, while newbies will find it more challenging. 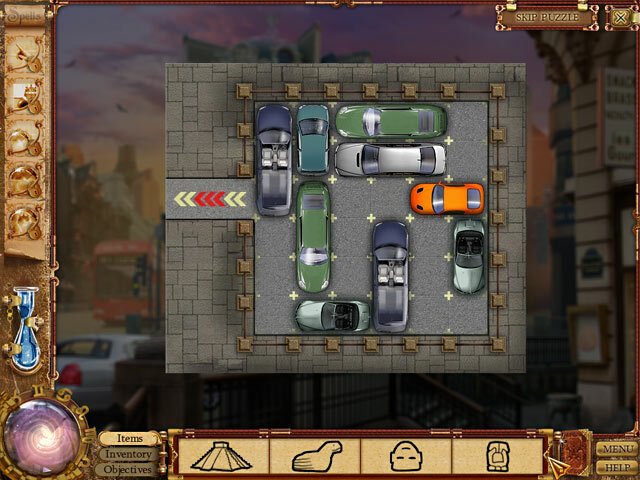 There is a wide variety of very fun minigames and puzzles. 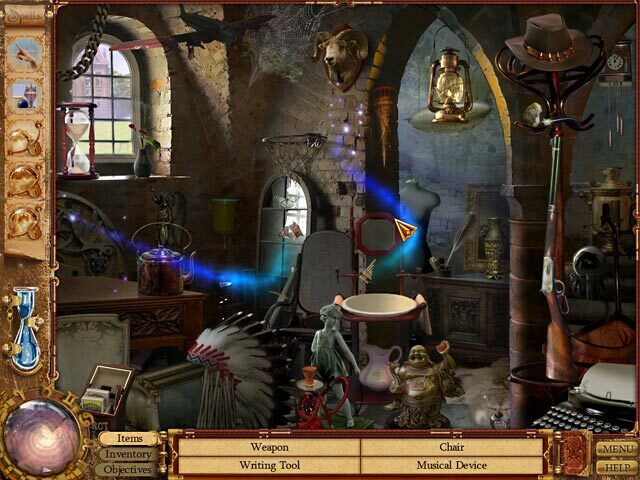 Instead of the typical HOG junk pile, you find hidden objects in the scene, followed by several enjoyable, interesting and multi-step tasks to do. Objects may be hidden behind, or within other objects, which will have to be moved. Also many objects react to the cursor, but only for your amusement (like a swinging and tinkling bell). Hint system is unique and simply terrific. Hint charges slowly, but can be sped up by finding objects or completing tasks. There are 5 different types of hints, which consume less than 100% of your hint meter. I would like to see the hint system used in other games. Rated 4 out of 5 by runninglee from Another rainy afternoon winner A good sequel. A little predictable but over-all a fun game!! Rated 4 out of 5 by emeraldorchid from Very nice game I enjoyed this game very much. As previous reviewer stated, nice video, and puzzle variety. Would highly recommend you get the first one of the series and play that first as, I believe, it makes for a much more interesting storyline to follow though its not required to do so to play this second game.